March planned this weekend, following arrests as protesters took to the street on Saturday. Far-right demonstrators will take part in a second march this weekend, following arrests as protesters took to the street on Saturday. 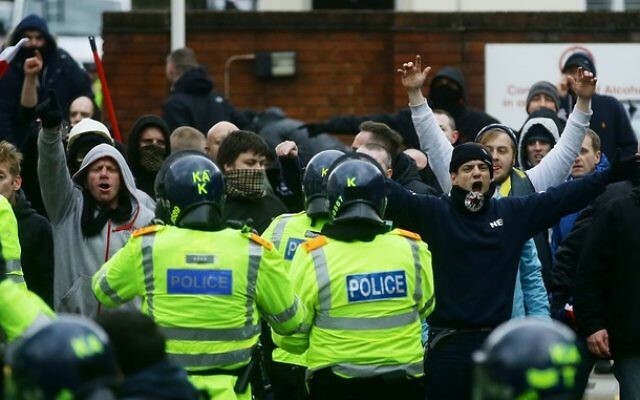 Two men were arrested in Dover, Kent on suspicion of being involved in violence at a previous protest in January. Saturday’s march, with counter-protests, passed peacefully following a large police presence in the town. 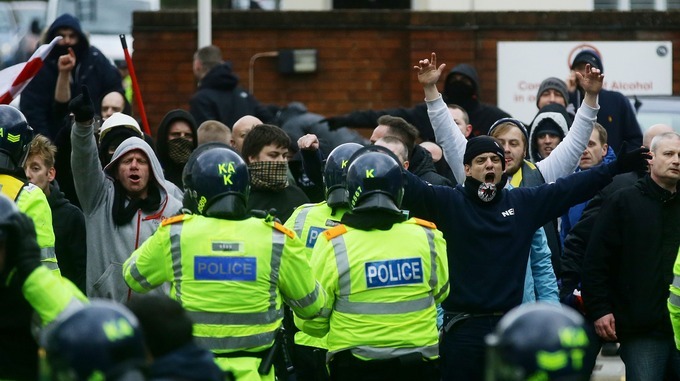 Before the demonstration began, police detained the men, a 33-year-old from Margate and a 35-year-old from Dover, on suspicion of violent disorder in connection with a protest on January 30 which erupted into violence. A second march is set to take place later beginning at Dover Priory railway station. A Kent Police spokesman said: “The first part of planned demonstrations by various groups in Dover this weekend has ended peacefully. “There was a large police presence on the streets of the town with support from other police forces and mounted officers. Following the January demonstration, in which smoke bombs were let off and bricks thrown at police, officers seized more than 20 weapons, including a knuckle duster, and three people were arrested.